Last Saturday afternoon (May 18th) found me attending a potluck picnic themed So Cal SAQA gathering at Rep Teresa Shippy’s home in Santa Ana co-hosted with Co-Rep Deborah Stanley. It was a wonderful event filled with food, friendship, show and tell, and their signature fun raffle. I was one of 4 members asked to do a demo at the meeting. 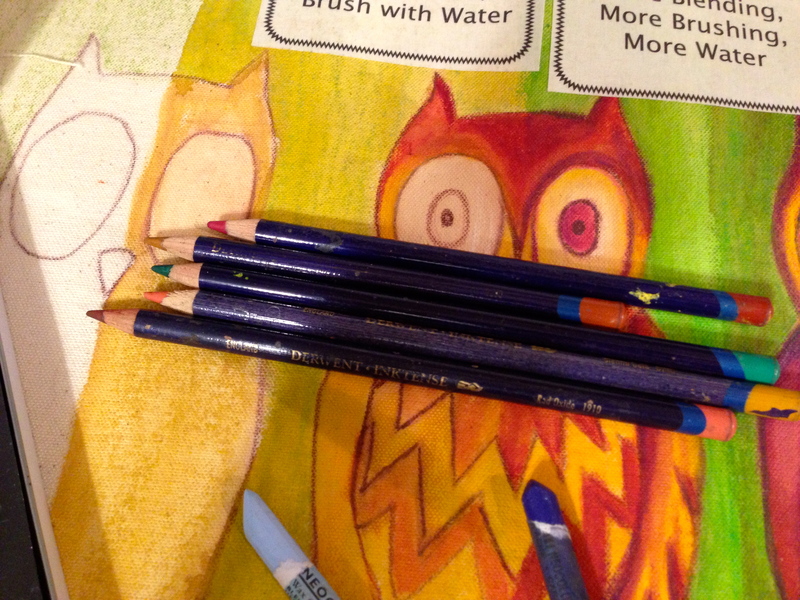 I demonstrated my favorite water-soluble media that I use in the creation of many of my art quilts: artist crayons (Caran D’Ache Neocolor II’s) and the best ever colored pencils (Derwent’s Inktense and Graphtint pencils). I had cut canvas squares, brushes and water available, so each person had a chance to color and paint and explore the media. 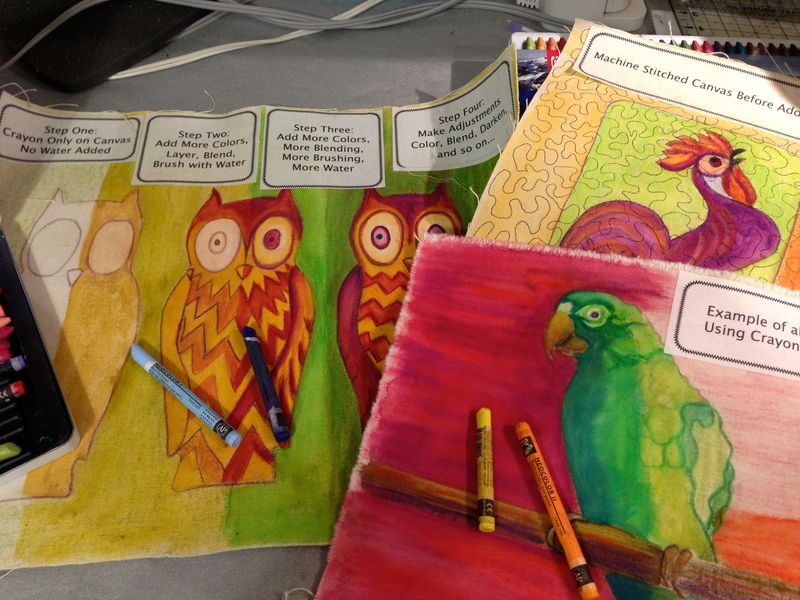 Check out some of my examples of my “how to’s” below…. 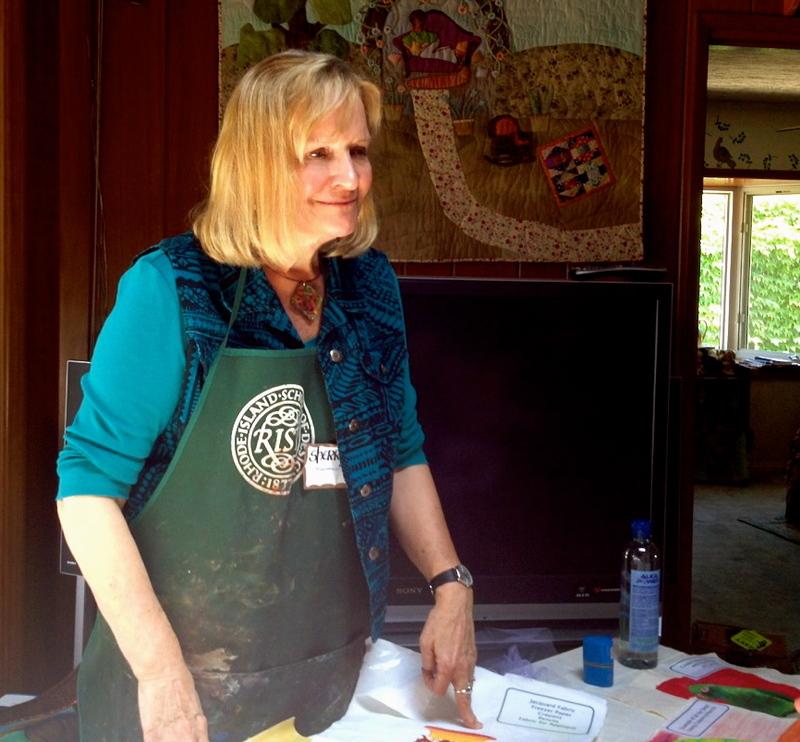 Other artists doing demos were: LInda Miller, Linda Friedman, and Mary Beth Kile. Linda Miller http://lindamillerdesigns.blogspot.com/ had examples of her signature wool batting shrinking surface design techniques that she enhances with her hand stitching. 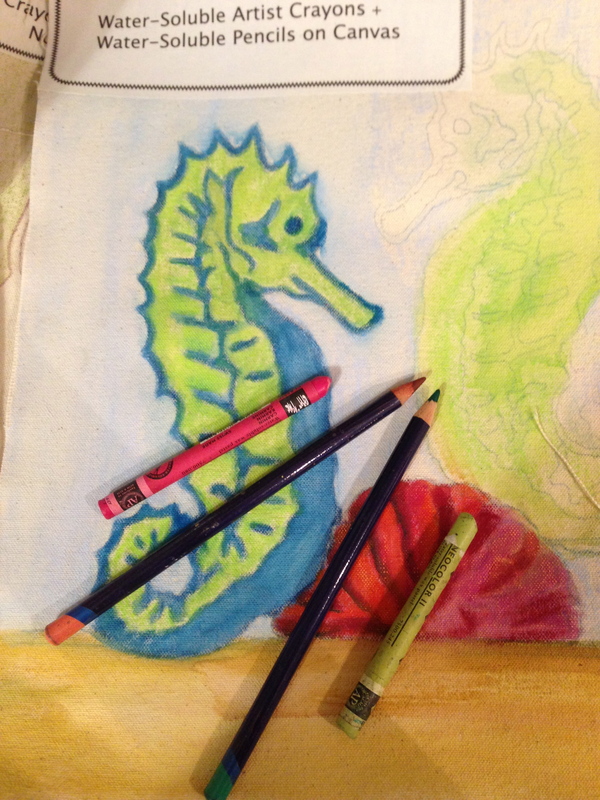 Linda Friedman demonstrated polymer clay stamps that she is creating and has for sale. Mary Beth Kile was selling her colorful egg pincushions, and explained her process. Kathy Nida http://kathynida.com/2012/09/15/art-quilt-portfolio-people-and-portraits-2/ and I are both featured artists in Martha Sielman’s People and Portrait book. We had a few for sale and happily autographed the copies. 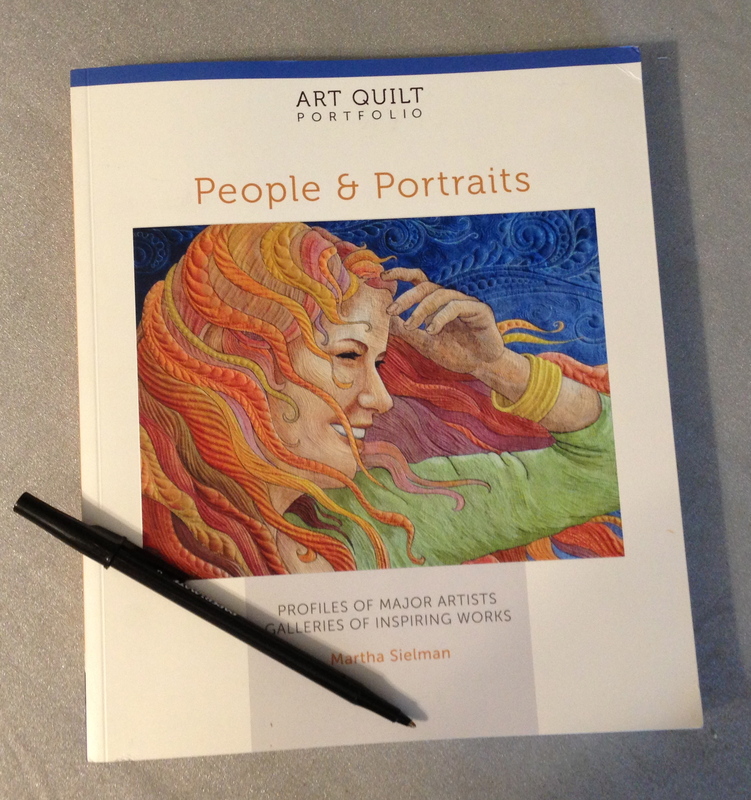 Book is available at the SAQA website, Barnes and Noble and Amazon….a must for your art library! Sounds like lots of fun for everyone.